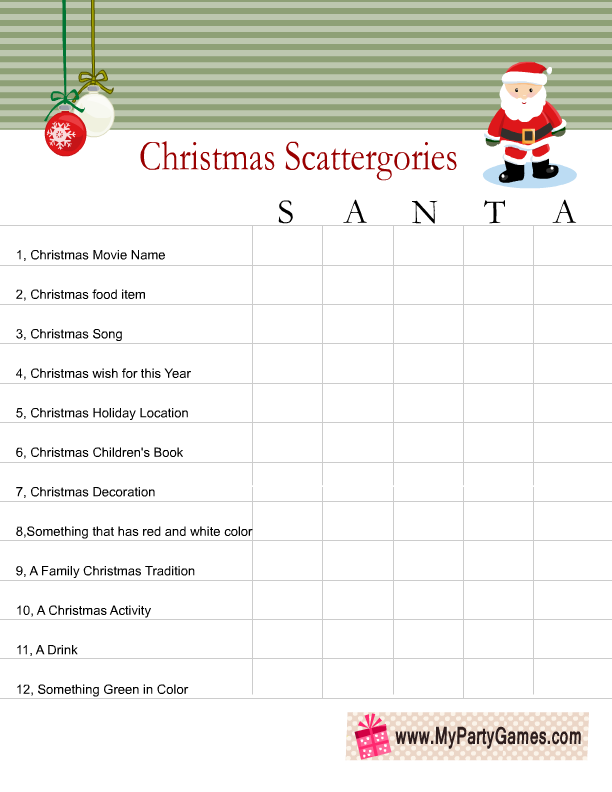 On this page I am sharing Free Printable Scattergories inspired Christmas Game Sheets. 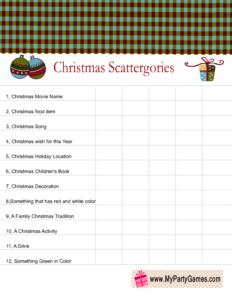 I am sharing printable category sheets that you can use if you have a Scattergories die and there are also Christmas related words written in front of category list that can be used in case you do not have a die. I try to make my games graphics fun and unique yet printer friendly. You can easily print all these games using your home printer. 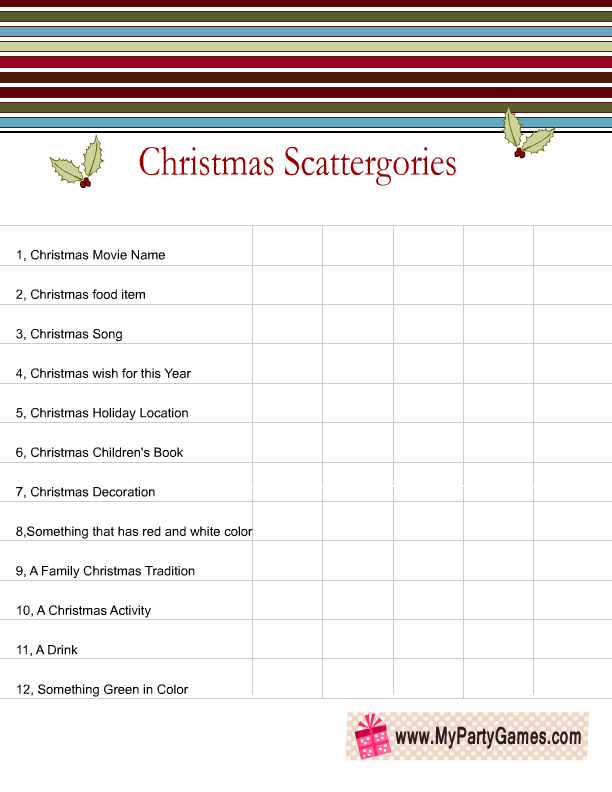 Print and distribute these Scattergories game cards among your Christmas party guests. 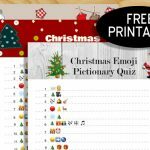 If you have a die then use the simple categories list. 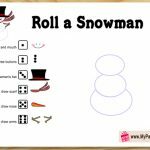 If you do not have a die then use the game worksheets that I have created using Christmas related words like Santa and Elf. 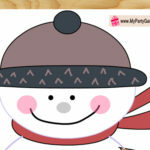 Give each player a pen or pencil and set the timer to 3 minutes or 5 minutes. 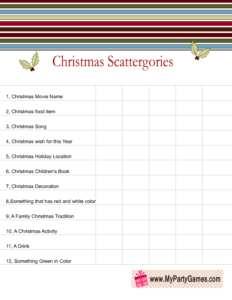 Each guest will have to make unique words with each letter for each category within the assigned time. 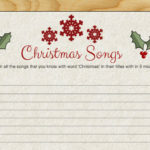 Players take turns reading their lists. 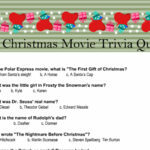 Cross out any answers that matched another player’s. 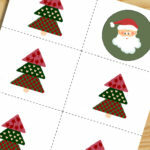 Players score one point for each answer not crossed out. 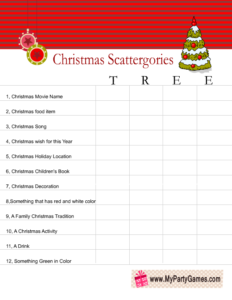 Here are two beautiful printable Christmas scattergories categories lists. You can click on the thumbnail image of the game of your choice and then right click and save or print the bigger image. 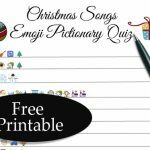 Each printable has 12 christmas categories listed on it and 5 columns so you can play this game up to five rounds using this free printable. 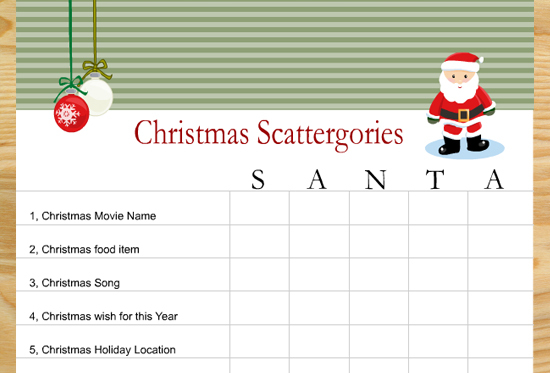 You can use these printables if you have a scattergories die. 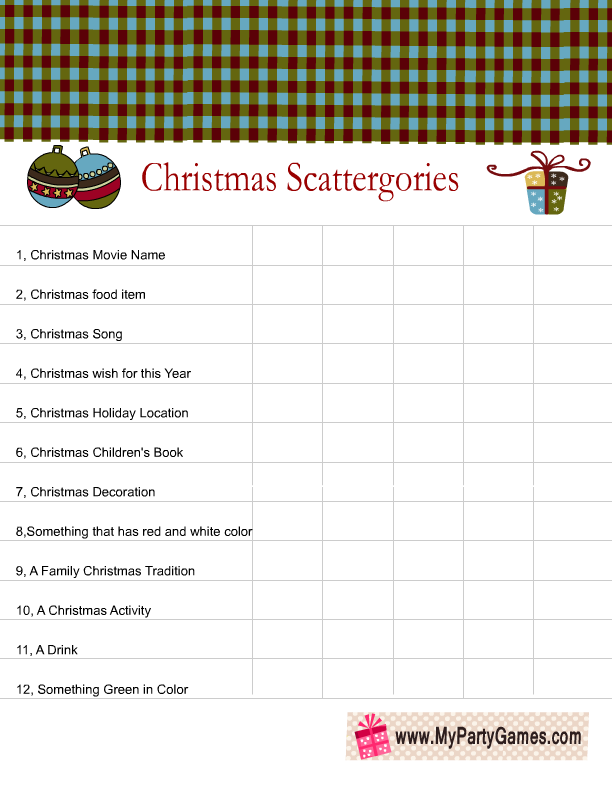 You can use the other Christmas scattergories worksheets that I am sharing below if you do not have a die. 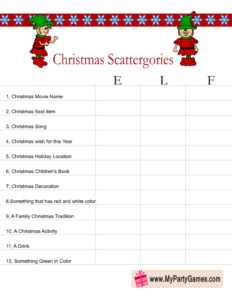 You can use this worksheet that I am sharing above if you do not have a scattergories die. 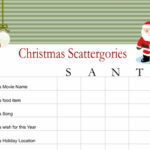 This scattergories inspired game can be played in the same way as you play it with real die. 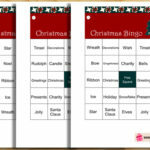 Each player will just have to make words using the letters in word ‘Santa’. 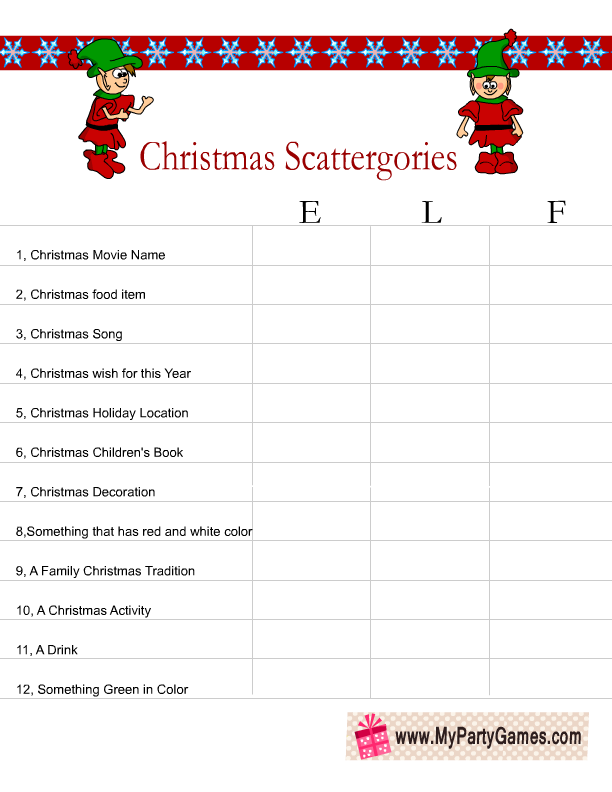 This is another scattergories inspired Christmas game worksheet in which players will have to make words for each category using letters from the word ‘elf’. 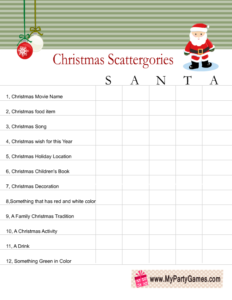 This is another scattergories inspired beautiful Christmas game worksheet. 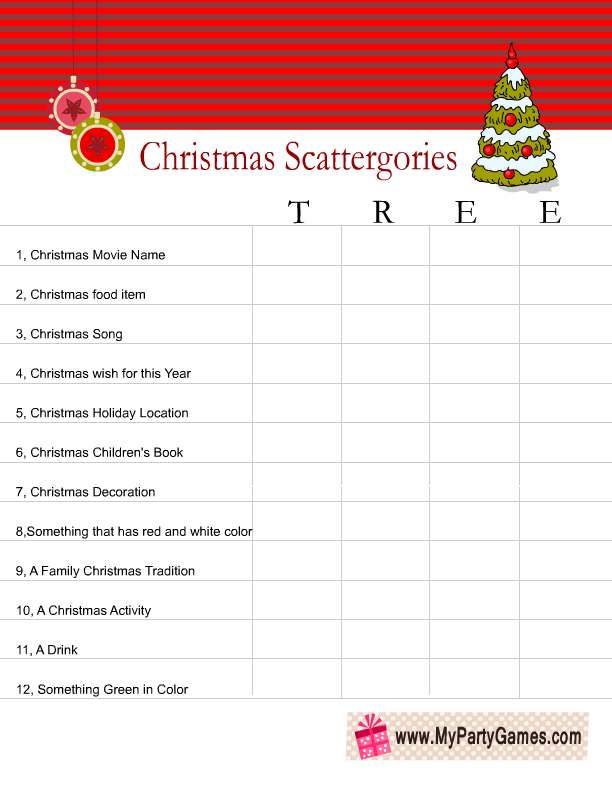 The players will have to make words for all the categories using the letters in the word Tree. 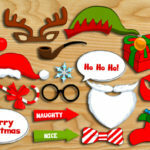 Please leave a comment below if you like my printables and also do not forget to pin these images on Pinterest.